Number of adults using drug falls from 1.2 per cent to 0.5 per cent in four years. 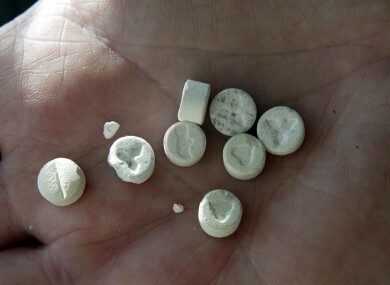 THE USE OF ecstasy has more than halved in the past four years, according to a new survey conducted by the State’s advisory committee on drugs. The number of adults using the drugs fell from 1.2 per cent in 2006-2007 to 0.5 per cent of adults in 2010-2011, the survey from the National Advisory Committee on Drugs found. Cannabis continues to be the most commonly used drug in Ireland, followed by psychoactive substances and cocaine. Overall, 1.5 per cent of adults used cocaine in 2010-2011 compared with 1.7 per cent in 2006-2007. Cocaine use rocketed in Ireland during the Celtic tiger boom years, with many users spending between €200 to €2,000 over a 3 to 4 day weekend. Men are more likely than women to take illegal drugs, as well as tobacco and alcohol. However women are more likely to consume prescription/over-the-counter medicines. There has also been a sharp drop in the number of women smoking, down 5 per cent to 29 per cent. Recent illegal drug use levels remain unchanged at around 7 per cent, but are still higher than the figure for 2002/2003 at 5.6 per cent. “I welcome the finding in this regional report that the use of illegal drugs has stabilised in many regions since the last NACD survey in 2006 and in particular the decline in many regions along the east coast of the country,” said junior health minister Roisín Shortall, who is responsible for the drugs strategy. However, there is no room for complacency and we must continue to rigorously tackle problem drug use across Ireland. Of legal drugs used, alcohol continues to be the most commonly used across the country. For example in the East Coast Region surveyed by the Committee, 88% of respondents said they had consumed alcohol within the past 12 months. Email “Ecstasy use falls by half but we're still boozing ”. Feedback on “Ecstasy use falls by half but we're still boozing ”.